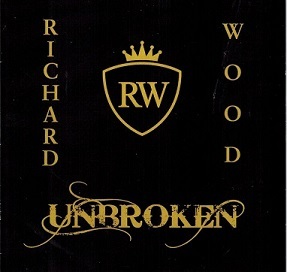 Richard Wood, stepdancing/fiddler from PEI just released in November, 2018 a new CD entitled UNBROKEN. He is considered as one of PEI's most energic and celebrated fiddler.In the past, Richard won 3 ECMA Awards and has been acclaimed by MacLean's Magazine as one of the top Canadians to watch in the 21st century. Richard has been working on his new CD for some time and his aim was to make this CD his best to date. The CD contains 13 tracks and Richard certainly has come up with a winner allthe way says Atlantic Seabreeze. We forsee award nominations for this album. Many musicians helped Richard with his music namely; Gordon Belsher, Natalie Williams Calhoun, Skip Holmes, Remi Arsenault, Mike Cowie, Todd MacLean, Brad Fremlin, Teresa Doyle and Caleb Acorn. An outstanding fiddling CD by Richard Wood, and Atlantic Seabreeze gives this album a 5 star rating out of 5 stars. For further information regarding Richard and his music,refer to his website, address posted above.